expressed in the Parliamentary Integrity Commission member, on Thursday, rejected the decision of Prime Minister Adel Abdul Mahdi , the formation of the Supreme Council for the fight against corruption, it returned to him "without a legal and contrary to the Constitution guaranteed , " he said, adding that the decision will pull the rug from the legislative branch and take away the real role In censorship. "We reject the decision to form the Supreme Council to fight corruption as a legal instrument, especially as Article 78 of the Constitution set the authority of the Prime Minister," MP Sabah al-Ukaili said in an interview with Alsumaria News. "This council is contrary to the separation of powers, The real parliament in the control, and the executive branch will be the opponent and the ruling in the case of this Council. " He added Ugaili "We do not know the legal aspect , which is based on it to be oversight bodies as a body integrity, inspectors general and the Audit Bureau, as well as the judiciary but the executive branch," pointing out that this work what is not to pull the rug from the legislature and to stop its work and disable it . " He asked Ugaili" What is the work of The legislative authority if it is watching and follow up is the executive authority, what is the need for parliamentary committees? ", Stressing that we" stand with all force against this Council. " Also called on the House of Representatives Ahmad Jubouri, earlier Thursday, Prime Minister Adel Abdul Mahdi to end Acting as a proxy for the Integrity Commission The newly formed Anti-Corruption Council was "of no value." Prime Minister Adel Abdul-Mahdi announced on Tuesday, January 29, 2019, the formation and functions of the Supreme Council for Combating Corruption. A member of the Parliamentary Integrity Committee, Youssef Al-Kalabi , announced the appointment of the committee on Sunday as a date to announce its opinion on the Supreme Council for Combating Corruption, which was formed by Prime Minister Adel Abdul Mahdi recently. Al-Kalabi said in a press statement that the committee will hold an extraordinary meeting tomorrow to discuss the announcement of the formation of the Supreme Council for Combating Corruption by the government, indicating that the committee will announce its position on the formation of the council after the meeting. A member of the Finance Committee, Hoshyar Abdullah, warned on Friday that the Supreme Anti-Corruption Council would lead to "increasing corruption" instead of fighting it, while calling on the government to "dare" to arrest "senior" corrupt officials. The media office of the Prime Minister, Adel Abdul Mahdi, has published the text of his speech on the signing of Order Diwani (No. 70) on the formation of the Supreme Council for the fight against corruption and its composition and functions, in addition to a copy of the Diwani order of the Council and its functions. - Prime Minister Adel al-Maamouri on Saturday called for striking investment whales in his anti-corruption campaign. 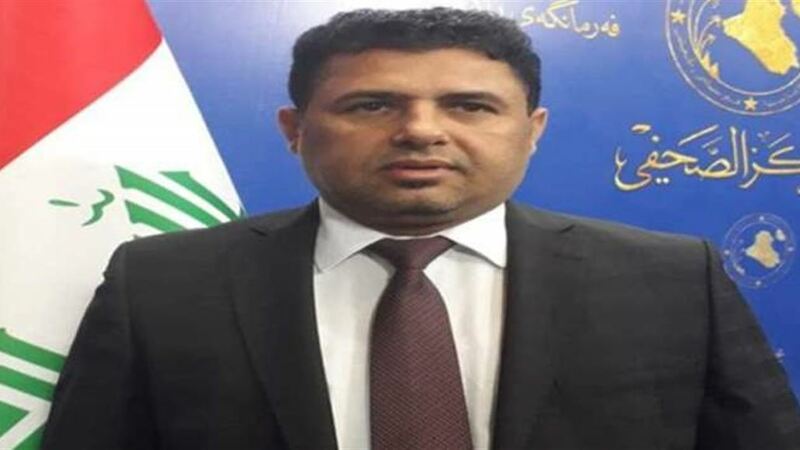 Al-Mamouri said in a statement, "Al-Ghad Press" copy of it, that "Iraq suffered because of the fall of some incompetent and unfair figures on a number of decision-making centers, which led to a significant decline in various security, economic and service files." He added that "those influential figures behind which certain parties deliberately disrupted investment projects, which caused a complete paralysis of the process of construction and reconstruction, especially with regard to infrastructure and residential complexes." Al-Mamouri said that "the seriousness of the whales of investment projects is to blackmail the real investors owners of international companies known or push towards contracting with companies and fake and incompetent to achieve special benefits away from the highest interests of the country." He pointed out that "the first step of the anti-corruption project adopted by the Prime Minister, Adel Abdul-Mahdi, begins to hit those whales and dismantle their networks and expose the parties that rely on them."